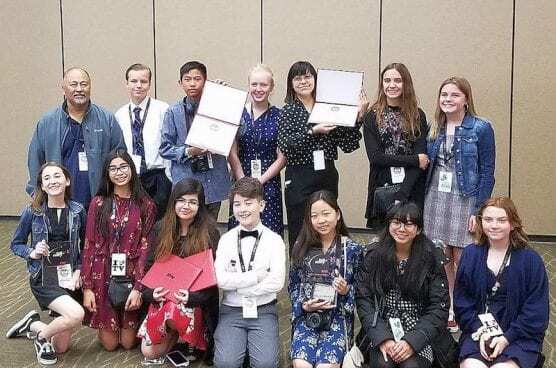 Thirteen students from Castaic Middle School received awards for their video production work at the Student Television Network (STN) convention in Seattle, WA. Over 3100 students participated from around the United States in creating short videos as part of their school’s video production program. STN embraces the educational components of broadcast journalism, video production, film making, and media by networking students and teachers with professionals in the industry. Schools are given varied opportunities for training, interaction, competition and critiques from qualified experts.